According to some of today’s most prolific writers in biblical scholarship, the evangelists — the authors of the canonical gospels — were historians and writers of Greco-Roman biographies. They reach these conclusions via embarrassingly obvious cherry-picking, which leaves them with a pile of incongruous evidence, which they feel compelled to explain away. As Evans’ comment above demonstrates, if the Gospel writers were historians (as scholars desperately want them to be), then the evidence would indicate that they were pretty bad at it. And if they were writing Greco-Roman biographies (despite all the clear indications to the contrary), their works are missing nearly all of their defining characteristics. At the same time, all of the canonical gospels share these same peculiarities. Consider the following examples. None of the New Testament gospels provides the name of its author. At least two of them copy another gospel, practically word for word, with no indication that the author is quoting a source. The typical Greco-Roman biographer will openly evaluate sources and decide which is more likely to be true. That never happens in the gospels. The material they present is not “probably true”; it is the very embodiment of truth. Getting back to Evans’ quote above, we note that he asks such questions for two main reasons. First, his audience has a deep, vested interest in the truth of the gospels. Second, conservative American biblical scholars must be subtle in their apologetic methods, and one can scarcely find a more effective and subtle method than misdirection. Licona’s rotten book builds on the rotten foundation by comparing Plutarch’s writing to the gospels, and suggesting that the differences we find may stem from what he calls “compositional devices.” In this way, he focuses our attention (misdirection, again) on the effect and not the motives of the differences in the gospels. Licona will note expansions, contractions, and alterations Matthew and Luke effected, but he refrains, for the most part, from telling us why those changes came about. Instead, he offers a way out by noting that Plutarch did the same thing when telling the same story in different places. In fact, the entire book is about shrugging off changes and differences by arguing that, as biographers, the evangelists just doing what was normal for biographers. Only by the clumsiest cherry-picking can we have arrived at this point. Licona quotes from a number of works that analyze Plutarch’s alterations, but he neglects the vast amount of research that explains why he made them. Calling attention to a difference and writing it off as a compositional device is scholastic malpractice. Insisting that the evangelists were just employing ancient literary techniques when they changed their sources is a lazy cop-out. But I’m not leaving it there. In the posts to come, I’m will try to do the work that Licona refused to do. We’ll discover what Plutarch really did and why, and what it all means if we take it to the logical conclusion. Posted on 2017-05-31 17:50:29 GMT+0000 by Tim Widowfield. This entry was posted in Greco-Roman Biography, Literary Analysis, Scholarly Consensus and tagged Michael Licona, Plutarch. Bookmark the permalink. The gospels increase divinity the later they were written. A fish that got away gets bigger with every retelling. Since when did Michael Bird write Michael Licona’s books for him? My bad. I’m fixing it. Quite embarrassing. It comes right down to being a Christian is all about not understanding your own motive for being a Christian. No one who is being scammed wants to avoid getting scammed until after the scam has run its course. The simplest way of explaining why there are differences in the gospels is to point out other religious works and their apparent differences. Like the differences in the Jewish Pentateuch and the Samaritan version. The reason for the difference then becomes obvious: Religious sectarianism. Different religious communities had different needs, and their writings reflected this. The gospels are altered for the same reason that different manufacturers bring out different versions of the same product—it`s all about market share. And for the same reason–conning the public. Thank you, Tim. When I read Licona’s book my jaw dropped — and I had thought I had long got over the jaw-dropping phase when reading the worst works of biblical “scholarship”. I had on and off intended to write some posts on his astonishing ignorance (being kind with that choice of word) and tendentiousness (which it is hard to avoid suspecting is bordering on dishonesty), so I’m glad you’ve picked up on it and have decided to do the ugly work of intervening in a complete train wreck of a publication. That Jesus Studies is rife with flawed scholarship, special pleading, fideism, rank speculation, manufactured relevance, careerism, homophobia and the misogyny that homophobia implies, sectarian allegiances, personal agendas, fraud and simple incompetence should come as no surprise to anyone conversant with the field. Indeed, whether Jesus Studies is even an academic discipline as usually understood is debatable, and that Jesus Studies has precious little to do with history is certain. Not a single one of Plutarch’s Lives does, either. And he’s a prime example of elite biographer. I noticed Licona claims on p. 22 that naming sources wasn’t necessarily all that typical and I’ve seen that repeated elsewhere. Some historians who quite rarely cited sources included Valerius Maximus, Josephus, and Livy. The neglect of source-citation could also mean the Gospels fit the genre of popular biographies (as Matthew Ferguson believes), which identified sources far less often than elite biographies. But citation could be entirely absent even in those. For example, I’m looking at the life of Camillus in my “Great Books” volume of Plutarch. I can’t find a single source identification whatsoever. I see at one point Plutarch begins an anecdote with “Some say…” At another point (p. 116) he provides two different versions of a conflict, in which he names no sources, begins the second by saying that “the general stream of writers prefer the other account,” and makes no personal judgment on whether he agrees with the majority opinion. Not especially rigorous the handling of sources in this case. 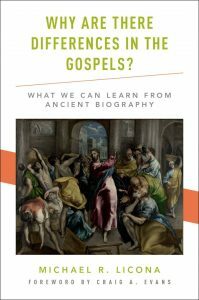 And regardless of what we might ultimately conclude the Gospels actually are, IMHO leaving out the scholarly apparatus makes total sense on the hypothesis that they were intended as biographies for mass consumption. Well, looking at Plutarch again, I can see that he recalls neither for at least a few of his subjects, from the aforementioned Camillus to the far more significant Julius Caesar. Haven’t surveyed the whole book, but it might be interesting to get the actual percentages on that. Notice again that Plutarch introduces sympathy with the reader who might question the historical accuracy of something that might seem to be too neat to derive from reality. Of this war two different accounts are given; I shall begin with the more fabulous. They say that . . . . But the general stream of writers prefer the other account of this war, which they thus relate. . . .
it is stated . . .
Plutarch’s life of Camillus reads to me like an historical or biographical account rich with fictional embellishments. It is possible that the above phrases I have quoted in which Plutarch expresses a reliance upon various written and/or oral sources are themselves inventions, but my point is that we have nothing comparable in the earliest of the canonical gospels. What we do have in those earliest of gospels is the possibility of a series of strong arguments that each pericope, or most of them at least, have been “midrashically” reconstructed from Jewish Scriptural narratives and passages, with a blend, even, of adaptations from bodies of other literature. Plutarch’s narrative of Camillus, on the other hand, appears to be built around a series of chronologies and events that are drawn from chronicles of various who’s who in what time of office, etc, and upon a well-known “historical memory”. And when Plutarch does introduce details that appear to border upon the “historically unlikely” he does express sympathy for the less gullible of readers, and he does make sure he introduces sources to support the historicity of his reference to an event that is drawn from the world of Homeric epic and days of the mythical heroes. (Other historians did consider Homer to be a historian and the Trojan War to have been historical, but at the same time, given the setting of divinities and half-divine heroes involved, the events appear not to have been in exactly the same “historical class” as the invasion of Rome by the Gauls. As for the conclusion of our Advocate from an Alien Dimension, I think we have strong grounds for disagreement. I suggest that where a story is not well known (and does not Mark’s conclusion point to an apologetic explanation for why it is being made known only “now”?) source verification is of paramount necessity in the telling. Justin certainly thought so and goes to pains to demonstrate that we “know” certain things happened in the life of Jesus because that’s what the Jewish Scriptures foretold. That’s his authority to demonstrate the truth of his claims. The Gospel of Mark, on the other hand, was not considered an historically authoritative document in our sense of what that means — as is clearly evidenced by the way subsequent evangelists felt themselves at liberty to change its details and characterizations. Ancient historians, when confronted with various accounts in the sources, seem to have presented the different accounts (as we see in the above lines from Plutarch) and would either comment on their agnosticism or on their preference for one or the other. For some reason the author of the Gospel of Mark, unlike Plutarch in even his vaguest of examples wrt Camillus, gives us no explicit reason to believe his narrative is derived from oral or written sources. Later the evangelist responsible for Matthew indicates more strongly that biblical prophecy is the source. In Luke we read the indication that previous anonymous gospels are the source. John reports the eyewitness to miracles (enough said!). Justin says Scripture is the source of what we know about Jesus. And the verification for Scripture as the source of information about the gospel Jesus is the clear literary indebtedness of the various pericopes to OT passages. Thus, like Achilles, having left his imprecations on the citizens, he went into banishment . . . .
And even here, of course, we see a clear distinction between “the historical Camillus” and his “mythical counterpart”. That’s not how the evangelists present Jesus as a “new Moses” or a “new Elijah”. Jesus was not presented as doing things in a manner “like” the biblical heroes did them. He was not imitating them. The authors drew some literary DNA from those biblical figures and genetically engineered a superior version of that DNA. Jesus didn’t do things in imitation. He was the very emulation and transvaluation of the inferior, even shadowy, forms of Moses, Elijah, Israel. On the other hand, most NT scholars believe the canonical gospels circulated separately at first, and then were gathered together. One reason we think that is that the order of the gospels in various manuscripts is sometimes different. And even after they were collected, they were still understood to be separate works. In addition, the headings have a certain uniformity, viz. “Kata Markon,” “Kata Loukan,” which leads us to think they were named after they were compiled. But more important than the presence of the author’s name is authorial presence, which is abundant in Plutarch’s work, and mostly absent in the gospels.